Jill Stuart Spring 2012 - New York Fashion Week. 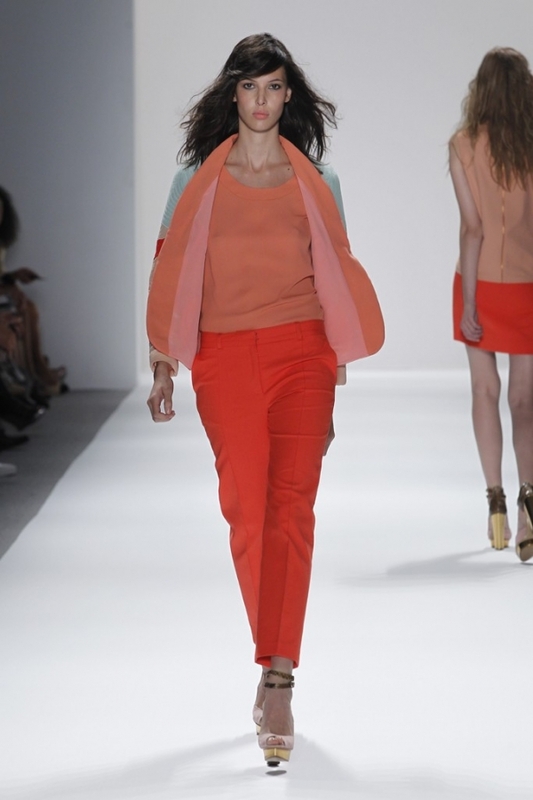 Delicate and oh-so-lovely was the Jill Stuart Spring 2012 collection seen at New York Fashion Week. A fairytale world where blush pinks, baby blues, minty greens, or light lemon yellows are utterly pretty and sweet, adding romanticism and girlishness, while oozing femininity and daintiness. This is definitely one of those sugary collections that allures its viewers due to all the lovable and hypnotic soft, candy and funky colors. At Jill Stuart, pastels were the key word. Mesmerizing shades of pale pink, blue, green, and yellow looked extremely chic and fresh. Moreover, the fabrics and the cute details used added a simple, breezy and innocent vibe. "I wanted it to look like a dream, a fantasy, a fairy tale," Jill Stuart said after the show at New York Fashion Week. Absolute purity and an otherworldly, featherlight feeling were spotted in the Jill Stuart Spring 2012 collection. Airy silhouettes, cutesy prints and soft textures walked down on the catwalk creating delicious sorbet-inspired ensembles. Palm trees, polka dots, little birds, flowers, bows, and ruffles are elements bringing gorgeousness and an oh-so-darling touch. "I like flirty dresses that are refreshing but with an awareness of the past. I prefer dresses that reflect the movies I love, like Valley of the Dolls and Belle de Jour," the designer told InStyle. And the latest Jill Stuart collection for spring 2012 featured a plethora of young, fun and cute candy dropped waist and pleated dresses. Besides the whimsical quilted dresses, Jill Stuart also showed silk jackets, little suits, patchwork blazers, smart, chic shorts, while those stunning high-heeled shoes perfectly completed the playful designs. Breezy, flowing fabrics and scallop hemlines amplified the romantic and chimerical feeling of the collection.